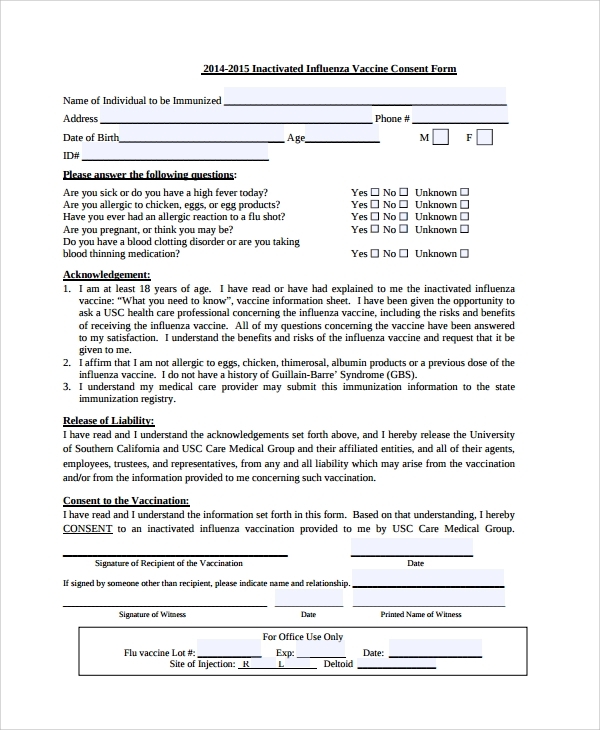 As the name suggest, flu vaccine form is given to the patients, who shall be vaccinated for flu or influenza. 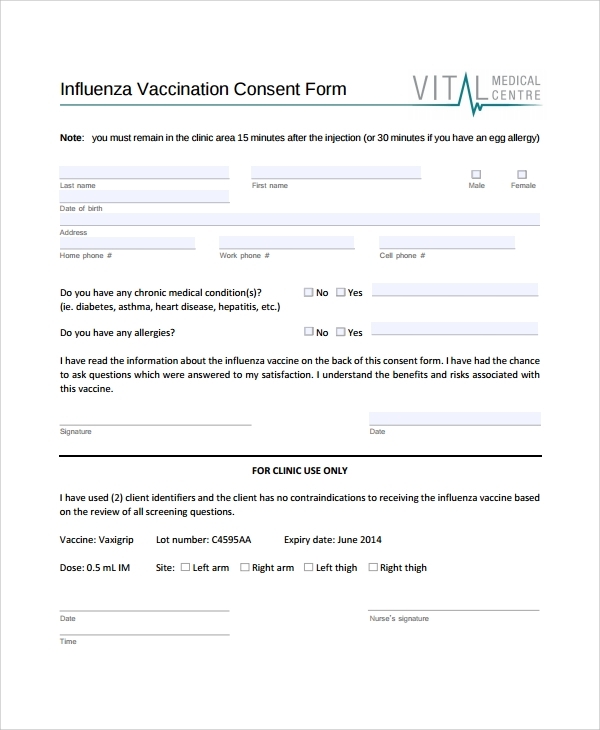 This is a consent form template, which comes with a standard format, featuring pros, cons and vital facts about the flu vaccine. For shingles vaccine, it is important to get consent from patient or patient’s family on behalf of a patient. This vaccine is complicated and it may leave significant side effects on the body of the patients. 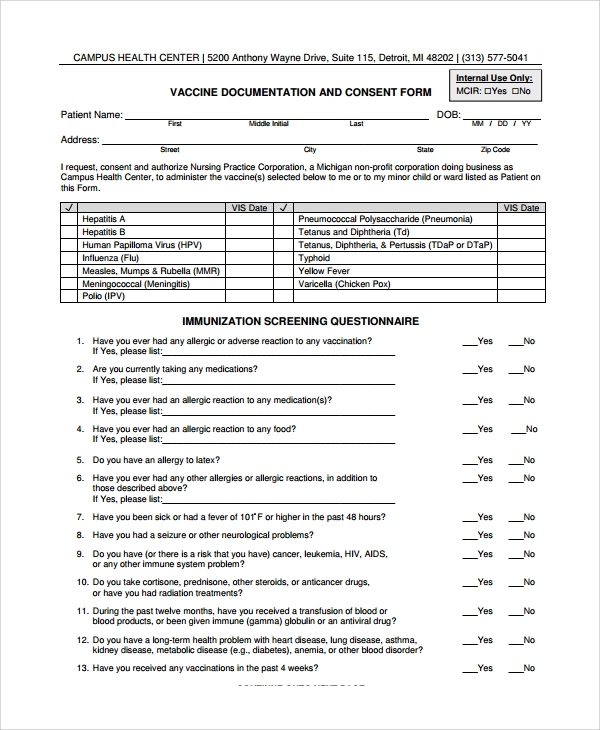 Use this fully formatted and ready to use a template to create a seamless shingles vaccine consent form. Before providing vaccines to adults, asking for consent through a written document is important for doctors or clinics. The form acts as a record, and also at the same time it acts as a consent proof. 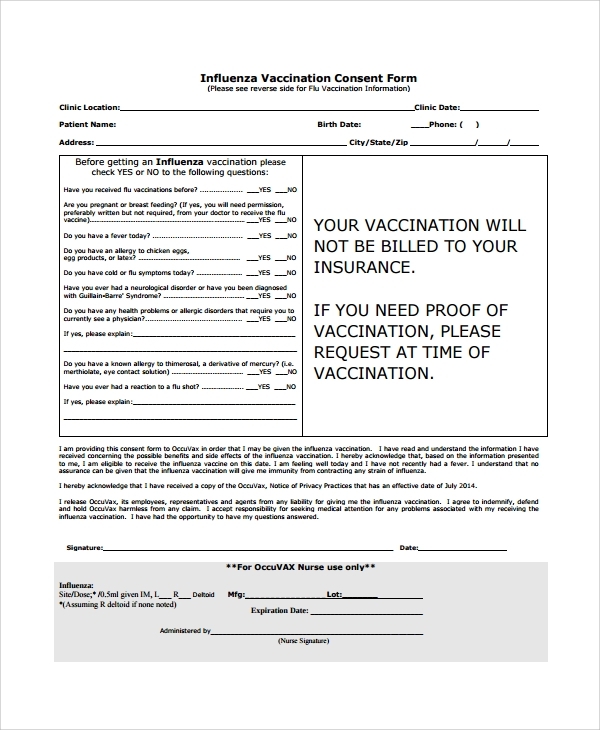 Use this template to create a perfect generic vaccine consent form. If a patient is too immature to understand about vaccination, you can furnish the form for the consent of the parents of the patient. 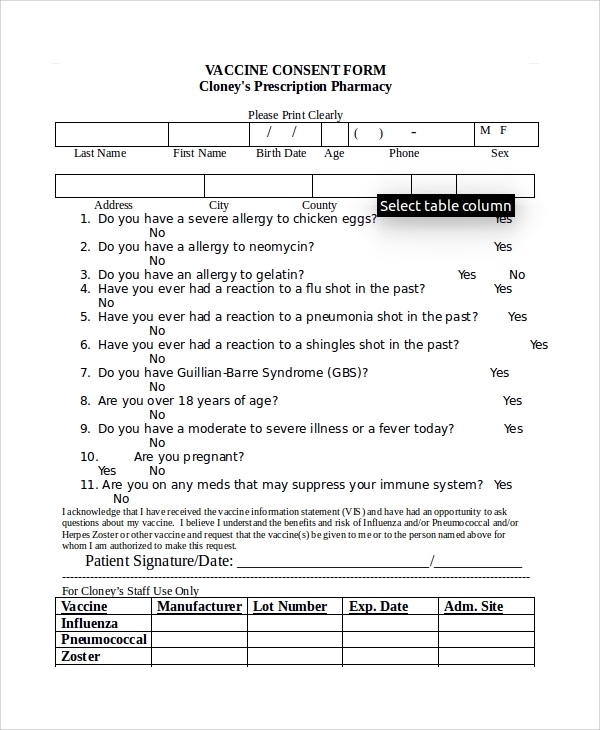 How to Create a Vaccine Consent Form? 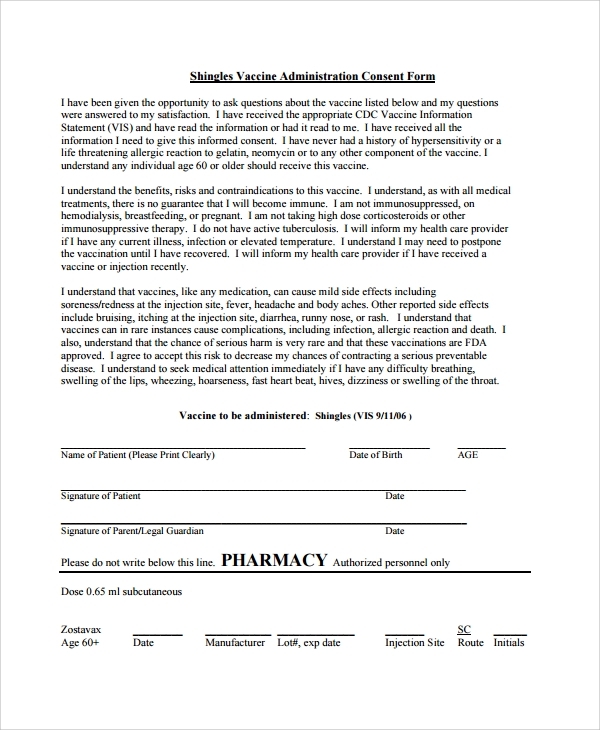 What are the Uses of Vaccine Consent Form? 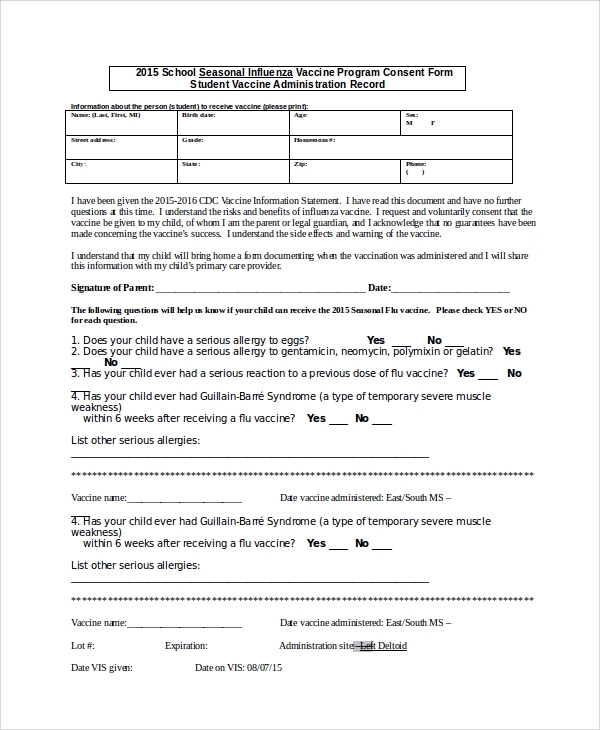 Is It Mandatory to Have Vaccine Consent Form? In different countries, different rules can be noted regarding vaccination consent. In some countries, it is complete mandatory, while in some countries it is not at all mandatory. 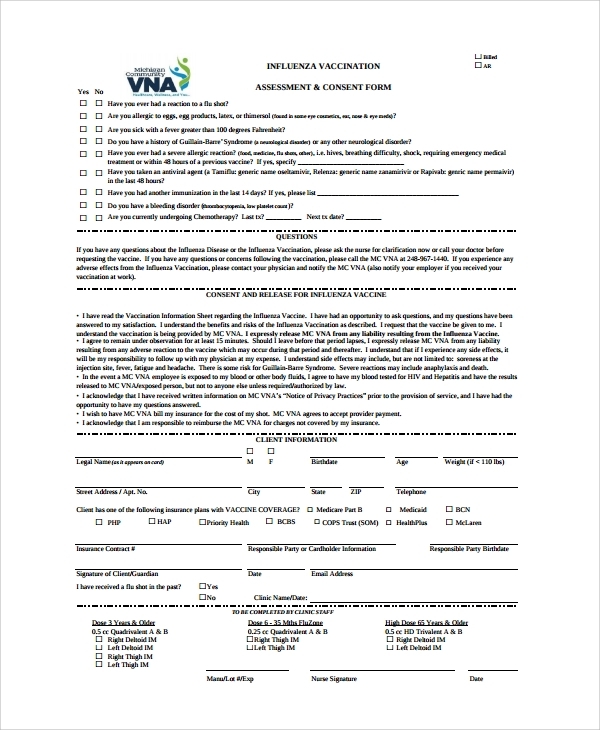 In the USA, having vaccine consent form is not mandatory, but it is considered as an ethical practice by the majority number of healthcare centers.Consent form spreads awareness on certain vaccination. It discloses pros, cons and a lot of other aspects of the vaccination. Not having consent form can lead to future medical checkup complications for the penitents. So, you have to be very careful on this particular aspect. 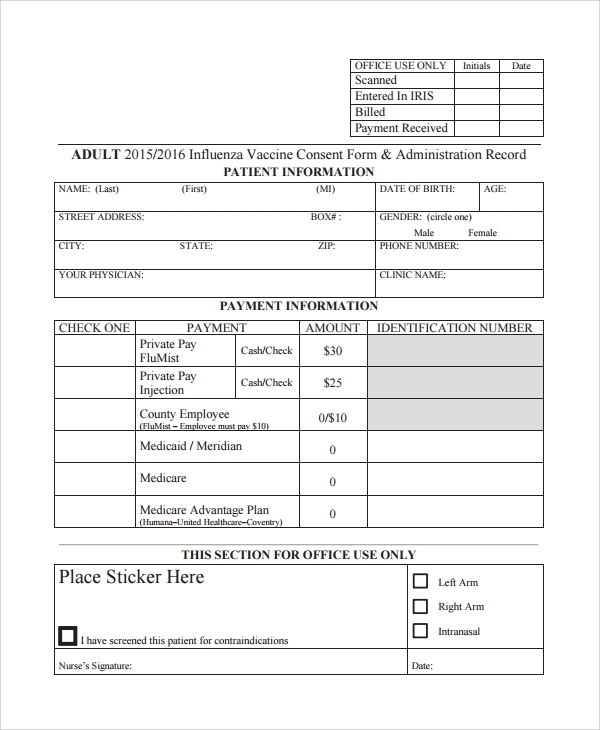 Vaccine consent form can easily be crafted by downloading the online templates. Healthcare centers can customize the forms by putting their personal information in it. Yu can simply download them and customize as per requirements. PDF version of file ensures that you do not have to face any glitches regarding printing the form.